Step Up for Parkinson’s is a voluntary organisation that provides free, specialised movement classes for people with Parkinson’s disease and their caregivers. “While the benefits can be seen directly from participants’s smiling faces and positive words, it is much more than that,” says the NGO’s founder and chairwoman Natalie Muschamp. 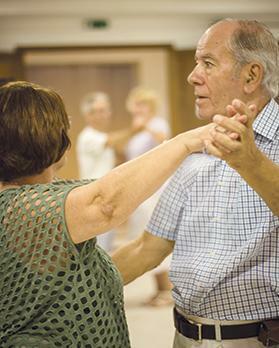 Scientific studies have shown that dance classes help people with Parkinson’s improve their initiation of movement. This has also been expressed by Dr Norbert Vella, clinical chairman of the Department of Neuroscience at Mater Dei Hospital, who has referred several of his patients to the movement classes since Step Up for Parkinson’s was set up in 2017. 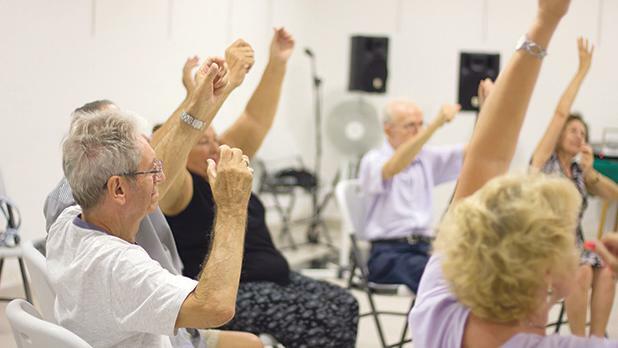 Scientific studies have shown that dance classes help people with Parkinson’s improve their initiation of movement, motor skills, balance, weight shifting, facial expression and memory. Improvements are also seen psychologically and socially, as Parkinson’s sufferers often end up feeling isolated and depressed. The classes offer a community feeling where people with Parkinson’s feel understood and can be expressive without judgement. As a result, these classes are not only beneficial to the person with the disease but also to the caregiver. “These benefits are clear to see, as the dynamics between the family and partners change a great deal once the diagnosis occurs. Very often, partners become the informal caregivers, in which case they must cut down on work, finances become difficult and the relationship changes, which might lead to bouts of anxiety and depression,” says Muschamp. The classes are completely free of charge, as the NGO believes everyone should have the right to access them, regardless of financial status. Classes all around the island are continuing to grow, with more locations being added. With a team of qualified, passionate and professional teachers, every class is guaranteed to be of great quality. Classes are held twice a week, on Tuesdays and Thursdays, at the Swieqi local council premises; once a week, on Mondays, at Safi local council, on Wednesdays at the Hilltop Gardens in Naxxar and Birżebbuġa local council, and on Fridays at the Naxxar local council. Each class is held from 6.30 pm to 8pm. Those wishing to join a class can call 9920 0822 or check out Step Up for Parkinson’s on Facebook.